More commonly known as the Capa Center, this hub of photography is named after the well known Robert Capa. Definition of some mind blowing exhibitions, Capa Center has time and again given photography new identities in Budapest. 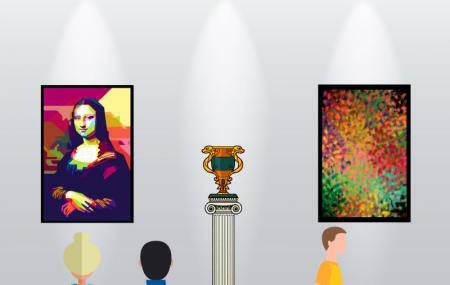 Each exhibition has something different to offer to people. The best part is that even though by and large they cover contemporary art, they also give topics such as photo journalism and new experimental themes a platform to be displayed and to offer people different insights into the realm of photography. Free Admission: Children under 6; Seniors over 70 years. How popular is Robert Capa Contemporary Photography Center? People normally club together Kazinczy Street Synagogue and The Fat Policeman Statue while planning their visit to Robert Capa Contemporary Photography Center. Robert Capa's photography is not the one which disappoints, of course. I'd have loved to admire more pictures given the ticket price. By reading each caption of the photos, you can easily terminate the visit to the Robert Capa's permanent exhibition in less than 30 minutes. I went to see an exhibition which was said to be at the Robert Capa Contemporary Photography Center, but was actually in the cafe next to it. So, although the content was very interesting, there were loud music and people having drinks in the same room: not the best atmosphere at all to enjoy the exhibition in full. The building is a jewel though. Staff was very kind. The place is in general fine, although a but small for the price. The temporary exhibit was a bit amateur. I was also expecting more from Capa's collection. It is just a couple of small rooms. I was also expecting more recognition of his partner (Gerda Taro). Although she is mentioned in the Museum, the reality is that she took many pictures attributed to Capa. If you like photography and especially photojournalism this is a small but wonderful exhibition. The people there were very friendly. I didn't see any lift for disabled people though but I might be mistaken.